Recently, this blog discussed how the new iPhones disappointed because there was no Apple Pencil support. Yours truly gave in and ordered the iPhone XS Max anyway. Instead, since I’m on a tight budget, I kind of wish I would have pre-ordered the Apple Watch Series 4, which looks like a pretty significant upgrade. The most noticeable upgrade is the screen — which is 30 percent bigger due to less bezel space. And the increased screen resolution means that you’ll be able to read more information on your wrist without having to scroll. This doesn’t make the watch any heavier or larger either. Apple claims the larger screen and increased pixel density don’t decrease the battery life, but we’ll have to see when full tests come though. Some of my colleagues didn’t care much for the added EKG capabilitie on the new Watch, but they may when they get a little older. That’s right — the new Apple Watch can prevent heart attacks. The way this works is that the user puts their finger on the digital crown, which causes the Watch to pass a current across the chest to directly track electrical signals in the heart. After about 30 seconds, the user will receive a heart rhythm classification. All the information will be stored in the Apple Health app. This is very important since the Apple Watch is now good enough to be used as a wrist phone. I’ve only used the Watch to answer phone calls when I didn’t have my iPhone close to me, and it was barely usable unless I was in a quiet environment. The integrated speaker is supposed to be 50 percent louder. At the rate Apple is going, there could be stereo speakers coming next year. The Series 3 already significantly improved performance, but the Series 4, which is powered by Apple’s new S4 chip, is said to provide twice the speed. Of course, if you are using the LTE version, there could be some speed issues based on the performance of your network. However, it looks like the Apple Watch Series 4 is made for speed. 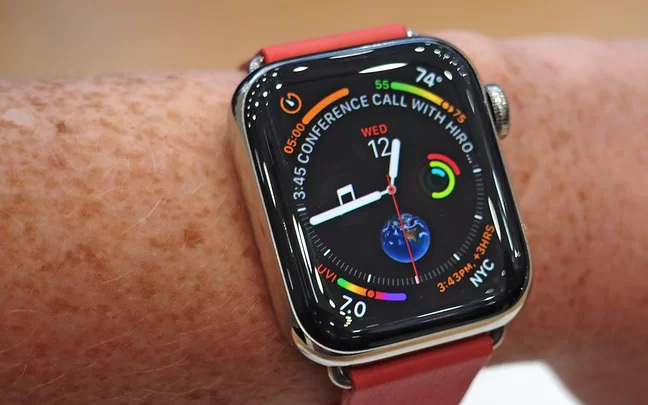 Apple was leading the smartwatch market just one year ago, but with the release of the Series 3 Watch with LTE, Apple got further ahead from such smartwatch manufacturers as Fitbit and Samsung. With the Series 4, expect even larger sales for Apple while other smartwatch makers disappear. 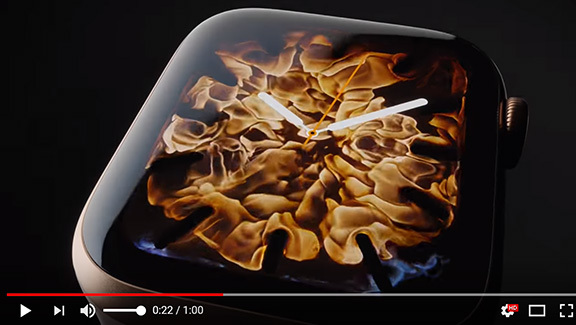 This entry was posted in Tech News, Video and tagged Apple Watch Series 4. Bookmark the permalink.